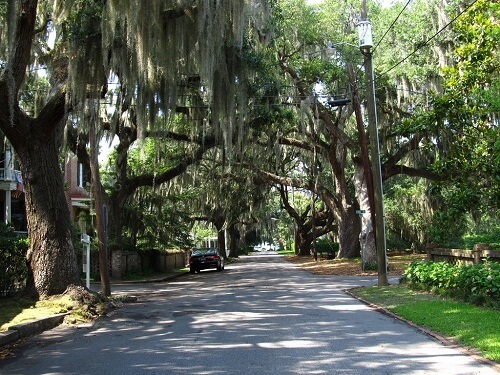 Bluffton and the Lowcountry, South Carolina mostly have homes that are steeped in nature. While this provides Gutter Cleaning Service a healthy and beautiful environment to live in, we, in most cases, face the fact that this also means lots of leaves and sticks stuck in the gutters of our homes. It also means, gutters need attention so they do their job. Gutters direct water away from the perimeter of your house and control the flow of rainwater to protect your roof, walls, foundation and landscape. Failure in gutter cleaning would result to gutter being clogged with leaves, sticks, and other debris can cause a leaky roof or water damage to the interior or exterior of your home. 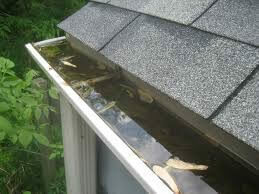 Worse than this, gunked-up gutters make nice homes for pests, rodents, mold, and honeycombs from bee infestations. When this is neglected, this creates a big problem towards a homeowner. 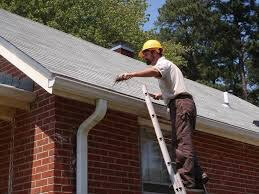 Therefore, gutter cleaning is essential for home maintenance. Since gutter cleaning is one of the many and could be the least favorite of dreaded maintenance tasks that homeowners face, Sea Spray Exterior Cleaning quickly and conveniently relieves that concern. Gutter cleaning is one of the professionally handled jobs we take care of for you; and we do it well! Like it or not, gutter cleaning is a function that must get done many many of the already cited reasons. Especially homes in Beaufort County, South Carolina, residents with densely wooded areas should implement continual gutter cleaning to be able to avoid damages brought about by clogged gutters. 1. 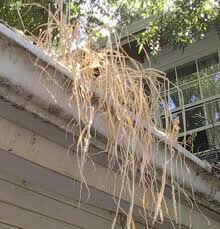 One thing to remember in doing the gutter cleaning is to never clean your gutters from above the roof. While this seems easier and more convenient, it also ensures injuries. 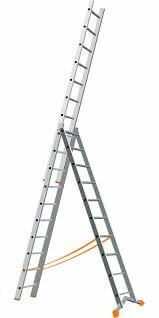 Instead, use a well-examined sturdy ladder in Gutter Cleaning Service. You will need some sort of scoop and a bucket. Plastic buckets are better because they are light and easy to carry. The handle of the bucket should be strong enough not to break when it is full such as a wire handle. Plastic or biodegradable garbage bags can be an alternative. Lastly, a glove and hose would also be essential in gutter cleaning. 2. In gutter cleaning, using the gutter scoop or garden trowel clean the leaves twigs, and dirt. Instead of intense scraping of dirt, try putting a little bit of water on it to rub it away with the scoop. Place all the things you get from the gutter in the bucket or bag you brought up with you. 3. You can spray water in testing your downspouts whether they are clogged or not. The pressure should be at low level because they are not designed for high-impact water flow. If there’s any clogged downspout, use a straightened hanger to remove the blockage Gutter Cleaning Service. 4. When you feel satisfied and all the dirt is removed, the next thing to do is the rinsing out the gutters with a hose. The pressure of water should be considered. 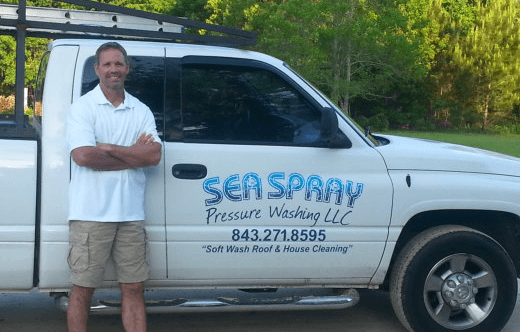 For homeowners who do not want to invest time or take the risk of ladders and roofs, call Sea Spray Exterior Cleaning. We are professional Gutter Cleaning Service, reliable, trusted and efficient. Our pricing for this service is excellent.